Allen High School is a public school in Texas, within the Allen Independent School District, serving approximately 5,000 students in grades ten through twelve. An additional 1,600 students are served in ninth grade at the Lowery Freshman Center. Allen is recognized across the state and nationally for its academic and athletic programs. The school’s athletic teams have recently won Texas UIL state championships in football, wrestling, basketball and golf. The REPu mobile app allows for schedules, social media posts, game results, and news/photos to be shared through one easy-to-use platform. 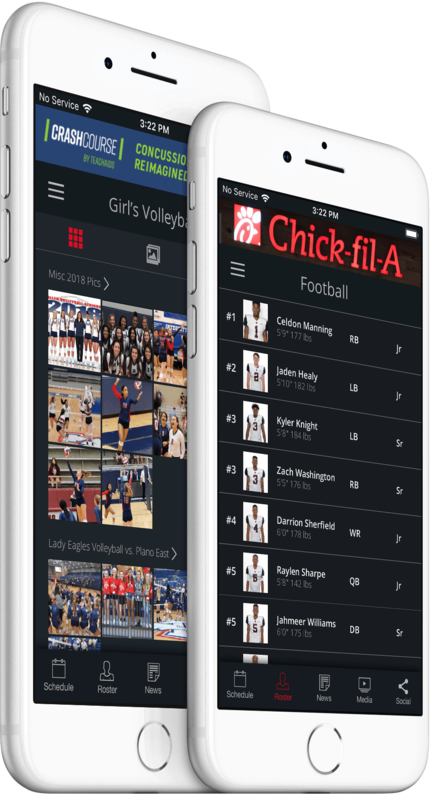 Follow along with Allen High School by downloading the Allen Sports app from the App Store and Google Play Stores.